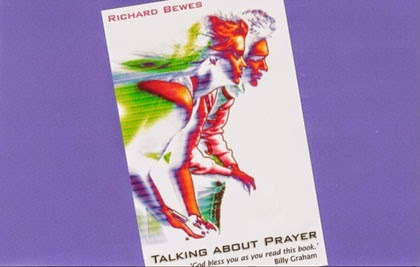 I WAS ONCE INVITED by a publisher to write a book on Prayer. You can be quite sure that I would never have volunteered myself for such an assignment. As I put in my introduction, ‘How hypocritical one feels in making the attempt!’ Anyone who writes or speaks about this most vital of all Christian activities will essentially need to be addressing oneself ahead of anybody else. Otherwise it would not be possible to face the Lord with integrity. And then prayer as it relates to the Christian worker; how does this differ from prayer in general? In one sense, not at all. Prayer is God’s appointed means by which his work is done in our world. In co-operation with him, we pray; he works! He works in our own lives and in people and situations outside of ourselves. The newest believer can be involved from Day One. We sometimes talk about ‘praying for the work.’ The reality is that prayer IS the work. It is the most important thing that we can ever do for the kingdom of God. Take Gladys Claydon. In her retirement she was a member of the church that I led for twenty-two years at All Souls, Langham Place. I knew her as a Christian with rosy cheeks and a ready smile. She loved the Bible and would invariably be present for the regular prayer gathering. She would help us at the church’s reception desk and was a diligent visitor of the needy. But she was not an ‘up-front’ person; I don’t remember her ever taking the public reading of Scripture or leading the congregation in the prayers at a Sunday service. You could be a member of the church and never notice her at all. I took a good number of photographs when at All Souls; but I have none of Gladys; she simply wasn’t in sight often enough. It was only at her funeral that the truth came out - from a young woman who had sometimes visited her at home. She learnt, by sheer chance, that every weekday in her home Gladys would spend from eight in the morning until noon in solitary intercessory prayer …. and none of us had ever known it. These are the heroes who are carrying the Church of God - supporting the public proclamation of Christ, protecting young believers, undermining the citadels of atheistic secularism and hostile belief-systems and strengthening the arms of missionary endeavour world-wide! When the Judgement Day comes, and the end of the world as we know it takes place – and Christ’s triumphant return ushers in the new heaven and the new earth for all eternity – why, then it will transpire that the people who were really carrying the mission all these years were members of an unseen, unsung army of secret, solitary and often elderly, intercessors. When, in this way, a tiny corner of the curtain is lifted off God’s work, and we are permitted to catch a glimpse of how giants of prayer like Gladys Claydon are occupying themselves, it inspires others of us to take the work – and weapon - of prayer more seriously. Perhaps for the majority, this happens best in the morning – but individuals have to work out what is most practicable. A lunch hour can provide the most suitable occasion for a quiet time with God. I have sometimes seen praying people with their Bibles open on the London underground. As the appetite grows, we can graduate to both morning and bed-time for those meetings of intimacy with God. Eventually you may stretch to four chapters of the Bible a day – two in the morning and two at night. 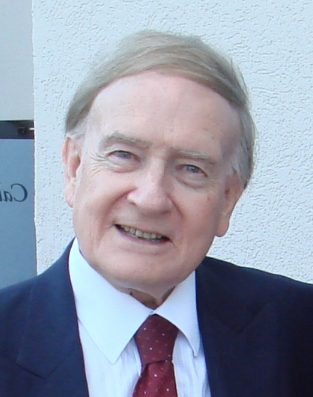 Many Christian workers and ministers have done this over the decades, using the reading plan devised by that great Scottish pastor of years ago, Robert Murray McCheyne. This very simple plan is obtainable from many Christian bookstores, or can easily be printed off from the Internet. This way, in a single year, you can cover the whole of the Old Testament once, and the New Testament and Psalms twice. It is cumulative in its value. Over the months and years, you are steadily storing up a vast reservoir of Bible understanding that is building a solid platform for your Christian world-view and your prayer life. In addition to these regular times of Scripture and prayer, we must remember that Jesus urged his friends to ‘remain’ or ‘abide’ in His love at all times (John 15: 9). It is as we take into our day some chosen theme from our Bible reading, that we can train our minds to come back to the passage at a later hour, lifting our love and loyalty to the Lord once again. To take an example from the day I am writing this page; my ‘theme’ this morning (from my Murray McCheyne reading plan) was from Exodus 15:2: ‘The Lord is my strength and my song; he has become my salvation.’ Those three S’s are stamping themselves onto the screen of my mind right now, and are acting as reminders. Tomorrow it will be something different! Is all this an irksome duty? Learn to see it as a daily delight – to be in the intimate and privileged circle of Christ’s friends and earthly helpers! And then, what of those ‘boring’ moments of a day - when resting, or on public transport - when your mind goes into neutral? I have sometimes engaged in the exercise of praying on the fingers of one hand. It’s easy. You start with your thumb – that is the digit that is closest to you. So you bring to God your dear ones, spouse, parents, brothers and sisters, nephews and nieces. Next is the forefinger – which you use to point and direct with. This prompts you to remember those who exercise some kind of authority in your life; your teachers, your boss, your church pastor! Next comes the big finger – and we can now remember those who are prominent in society, Heads of State, your member of Parliament or of Congress, local councillors – and not forgetting others known to you who may be big in business, sport or entertainment…. in short, those popularly thought of as VIPs! And because missionaries and evangelists have an honoured place in God’s service, may not these also be classed as VIPs? Now comes the fourth finger – known by pianists as the ‘weak’ finger. This leads me to pray for those known to me who are suffering; friends facing job uncertainties, sorrow or health anxieties – and the persecuted martyrs of our world. And last of all there is the ‘little’ finger. At that point I can commit to Christ all that concerns little me! This is good, of course – but in our regular prayers there is surely a call also for adoration, praise and thanksgiving; for confession of failure and sin – and for intercession that learns, bit by bit, to roam more widely still around our challenging world. Prayer broadens our horizons to the whole world week. Then thirty-one pages, covering those lesser-known to us, but for whom we are nevertheless prayerfully concerned during the month. A final page or two can be allotted for those one-off ‘special’ requests that come the way of every Christian worker. A trifle mechanical? Sometimes it can feel that way – to the extent that you tear the lists up and simply pray ‘out of the heart’ for a period. Then, insistently the realisation dawns, There is a whole mass of people for whom I am completely neglecting to pray. And so once again you begin a new list! We never get prayer completely licked. Never ever. We are going to have to stay in the learners’ lane all our lives. Intercessory prayer opens up the world to a single Christian worker. It can give us an incredibly broad view of what is really happening in another country. We cannot pray for everybody, but we can open a dossier on a selection of countries, identify a key Christian leader or overseas mission partner at work - and as really spend time in that country as if we were personally there. Such is the power of prayer. We pray; He works! “Richard, I pray for you on the nineteenth day of every month!” So wrote an Australian bishop to me once. I could hardly believe my eyes. What? There is a happy by-product of intercessory prayer. When you bump into people for whom you have regularly been praying, you will certainly not have forgotten their names! The worker for Christ is committed to prayer as a way of life, with the sure knowledge that there is absolutely nothing else that can replace it. Take it in! We cannot be effective in our work for Jesus, until we have learnt to spend time with Jesus.